Halgo Power’s centerpiece product offering consists of multiple boiler types. Water Tube Boilers, Waste Heat Boilers (WHB), Heat Recovery Steam Generators (HRSGs), and Firetube Boilers are the four primary boiler types available. Each type is best suited for uniquely different applications, and selecting the most appropriate type is heavily dependent on multiple variables including but not limited to the fuel/energy source, required heat release and liberation rates, and operating temperature and pressure. Selecting the most appropriate boiler type is the first design step in creating an engineered solution for our customers. Water Tube boilers circulate boiler feedwater through tubes that absorb thermal energy from a combusted fuel, typically oil or natural gas. They are built in two or three sections, depending on if dry saturated or superheated steam is the desired output. Production of dry saturated steam requires both a furnace and generating bank of tubes while production of superheated steam requires the addition of a third section, the superheater. 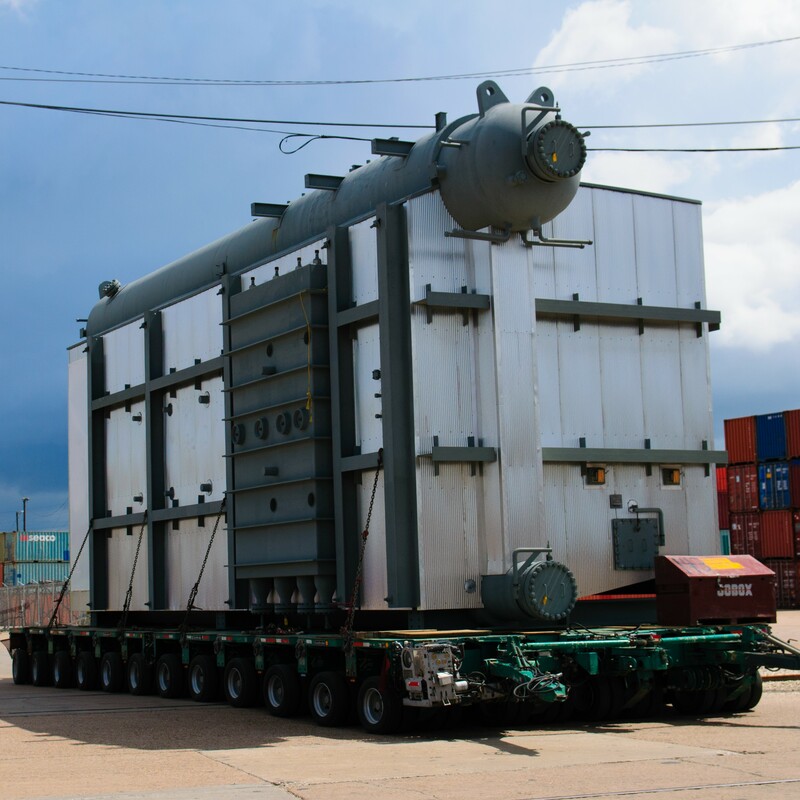 The “D-Style” Water Tube Boiler is Halgo Power’s most common offering in capacities up to 500,000 lb/hr @ 1,800 PSIG & 1,000 F.
Waste Heat Boilers recycle the excess energy from heat, steam, or combustible by-products ejected by other processes to produce steam for practical use. Steel mill furnaces, diesel engine exhaust streams and cement kilns are just a few of the sources that can fuel a waste heat boiler. A WHB uses a large intake duct to maximize heat absorption from a low energy density fuel while guaranteeing complete combustion of material in the reheater section. The heat is then transferred to a series of water tubes to create clean, useable steam. Firetube boilers pass the hot gases created from combustion of a fuel through one or multiple tubes that run through a sealed vessel of water. The heat contained in the hot gases is transferred through the tube walls, adding energy to the water to create steam. A firetube boiler can generate dry saturated steam or, if fitted with a superheater, it can generate superheated steam. Generally, firetube boilers are best suited for applications that require less than 27,600 lb/hr of steam generation.